After spending much energy to select ministers from dozens aspiring leaders from both the UML and Maoist-Centre, Prime Minister K P Sharma expended his cabinet inducting 11 new ministers and four state ministers on Friday. It took a month for Prime Minister Oli to expand the cabinet due to a large number of leaders aspiring for the post of ministers. Although he had tried to induct ministers from the Federal Socialist Forum-Nepal, but failed, and he will probably add three more ministers, including one powerful minister from the CPN-UML. As the Council of Ministers has already 22 members, including four State Ministers, he cannot add more than three ministers, because the constitution has limited the number of ministers in the federal government at 25. However, rumours have it that Oli is intending to amend the constitutional provision of only 25 ministers in the centre to accommodate more ministers in the cabinet. If he makes any move against the provision, it will be costly for his party in the next elections. In the new expansion, six ministers and three state ministers were added from the CPN-UML and five ministers and one state minister from the CPN-Maoist Centre. PM Oli chose the young and those who had performed better during their earlier terms as ministers in his cabinet. 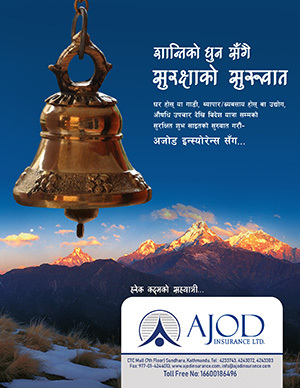 The new ministers picked from the UML included Pradeep Gyawali as Foreign Affairs Minister, Gokarna Bista as Labour and Employment Minister, Rabindra Adhikari as Culture, Tourism and Civil Aviation Minister, Raghubir Mahaseth as Physical Infrastructure and Transport Minister, Sher Bahadur Tamang as Law, Justice and Parliamentary Affairs Minister, Jagat Bahadur Sunar Bishwokarma as Youth and Sport Minister. Likewise, from the Maoist Centre, Barsha Man Pun was given responsibility of Ministry of Energy and Water Resources and Irrigation, Giriraj Mani Pokharel of the Ministry of Education, Science and Technology, Shakti Basnet of Ministry of Forest and Environment, Chakram Pani Khanal of Ministry of Agriculture and Cooperatives and Bina Magar of Ministry of Drinking Water. Gokul Baskota was appointed State Minister for Communications and Information Technology, Padma Aryal State Minister for Labour and Employment and Dhan Bahadur Buda State Minister for Culture Tourism and Civil Aviation , Raj Kumari Chaudhary as State Minister for Agriculture and Cooperatives. Chaudhary represents Maoist-Centre while others the CPN-UML. 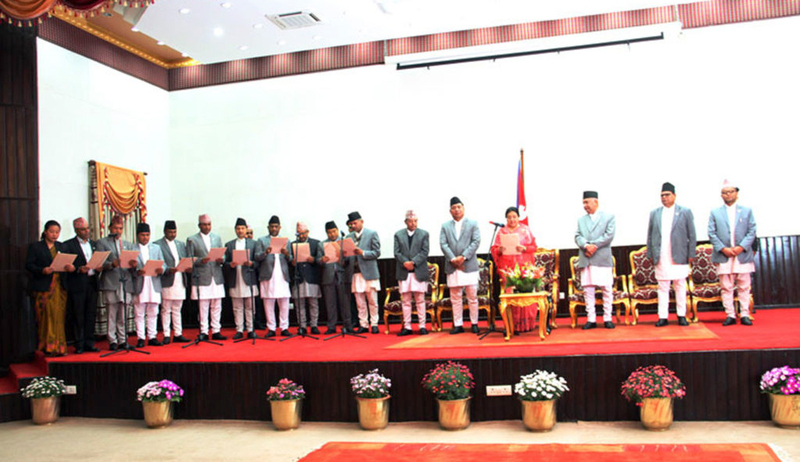 President Bidya Devi Bhandari administered the oath of office and secrecy to newly appointed ministers amidst a special function held at President Office, Sheetal Niwas. Prior to this, Prime Minister Oli had inducted six members to the Cabinet on February 27. Prime Minister was sworn-in as Prime Minister on February 15 and on the same day he had inducted two ministers Lal Babu Pandit as Minister for Federal Affairs and General Administration and Tham Maya Thapa as Women and Children Welfare Minister. Prime Minister Oli’s Cabinet earlier had decided to limit the number of ministries at 18, but he created three more ministries increasing their number to 21.